It might appear as though psychic intuition is a magical power that only a few people have, but that’s really not the case at all. 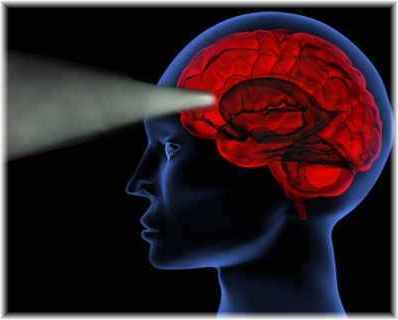 We all have psychic intuition and it actually plays a very important role within Quantum Creating. We are all unique expressions of a divine whole. There is an aspect of you that is uniquely you and another aspect which is actually connected to everything in the universe. When we talk about psychic intuition, we are talking about tuning in to that part of you that is connected to everything. You can think of that ability to connect as being like any other skill. Some of us are born more gifted, more easily able to tune in to that connection, but it’s a skill that we can all improve. Your psychic intuition or if you like gut feeling acts as a kind of compass or navigation device that lets you know when you’re on track or in alignment with whatever it is you’re trying to manifest. Even if you don’t think of yourself as having any psychic intuition at all, you’ll probably be able to remember quite a few times when something inside you signalled a big no or a huge yes at the point where you were making a decision. What’s actually going on this that your psychic intuition – the part that is connected to everything – is able to scan the whole of the universe and chart the route between what it is you are trying to manifest and wherever you are in any one moment. It will do whatever it can to signal to you when you start moving in the wrong direction and when you’re charting the right course. It’s actually one of the most powerful tools that we have because it doesn’t get muddied up by all of the things that can trick us at the level of the mind – the ideas, memes, beliefs and projections that can lead us astray. We are taught to rely on the mind and drown out that intuition, but if you think about it, even the smartest people can make choices that don’t support them when they are under a spell of a powerful meme or disempowering belief. So get to know how your psychic intuition speaks to you. Some people hear a very clear ‘No’ or ‘Yes’. Some people feel things in their bodies – like those times when the hairs on the back of your neck stand on end or your tummy turns over. Others get a flash of images. I always say that the quickest way to strengthen your own intuition is to pay attention to it. If you find it really hard to make the jump from trusting your mind to following your intuition, start to keep an intuition diary in which you make note of all of those messages that you get and how things turned out. Over time, that should give you a lot of confidence in your ability to tell the difference between a disempowering belief generating a thought that pops into your mind and a true and authentic communication from your divine intuition. And the more you trust your psychic intuition, the more confidence that you can develop in your power as a co-creator. What sort of time traveller are you? Are you stuck in the past or a tomorrow person? Take this fun quiz and find out.